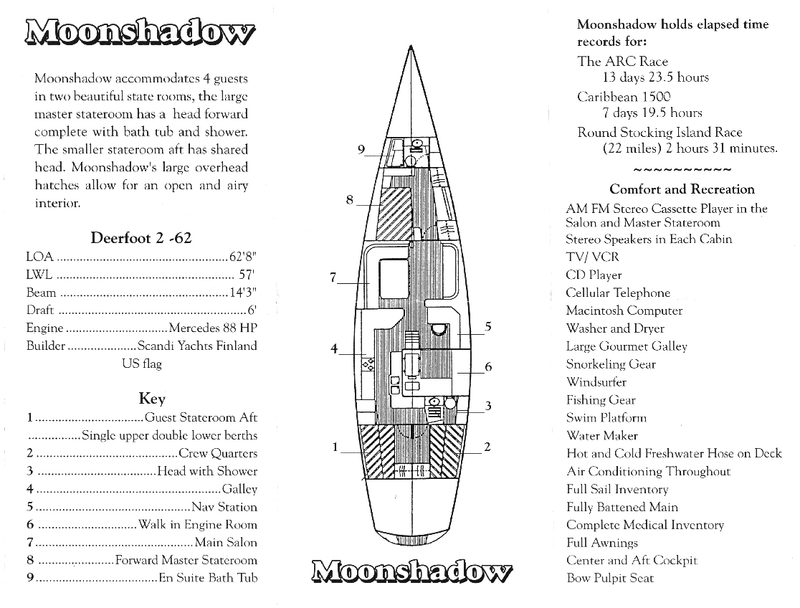 Moonshadow is a Deerfoot 2-62 cutter designed by “cruising guru” Steve Dashew. 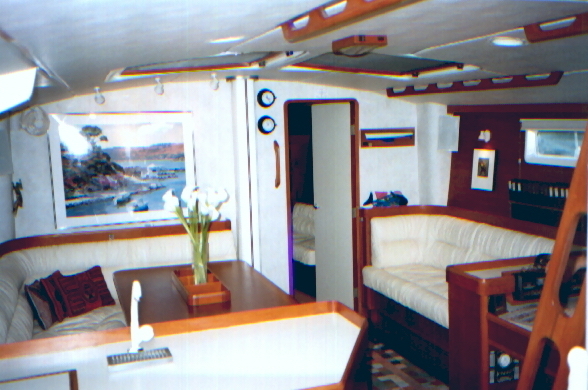 She was built in Finland by Scandi Yachts and launched in 1986. 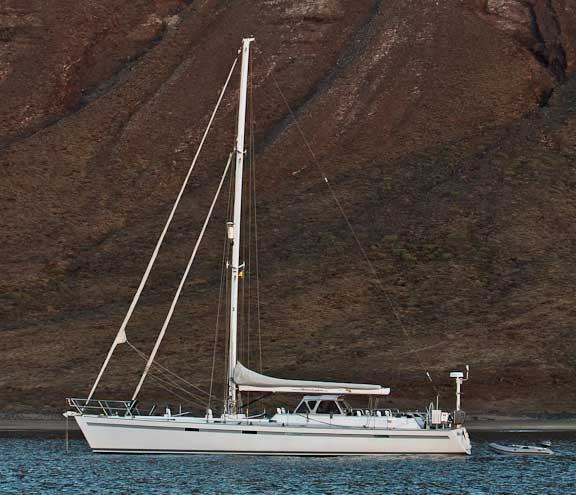 She is a purpose designed short-handed blue water cruiser and has logged approximately 100,000 nautical miles to date. Dimensions are: LOA 62 feet/19 meters, beam 14.5 feet/4.4 meters and draft 6 feet/1.8 meters. Her “Intracoastal Waterway friendly” rigs stands 64.5 feet/19.6 meters off the water. 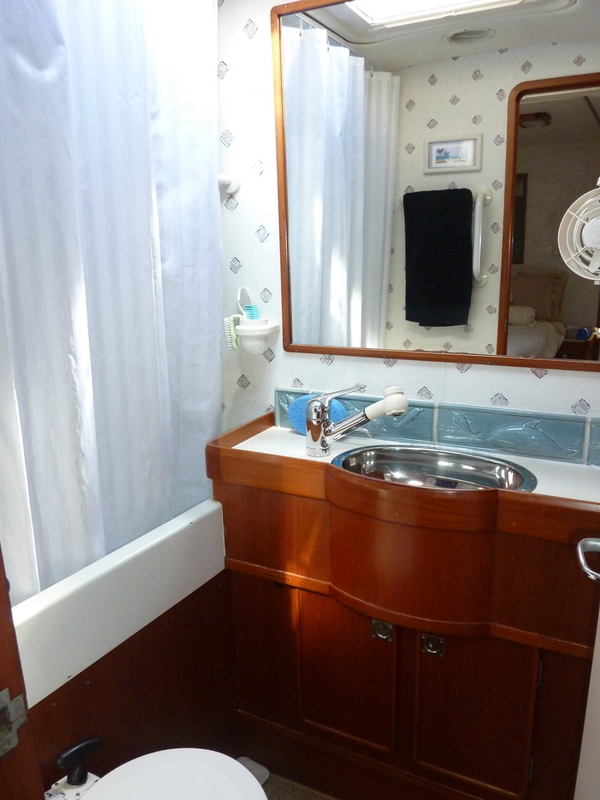 Moonshadow’s accommodation consists of a master stateroom with ensuite forward of the mast. 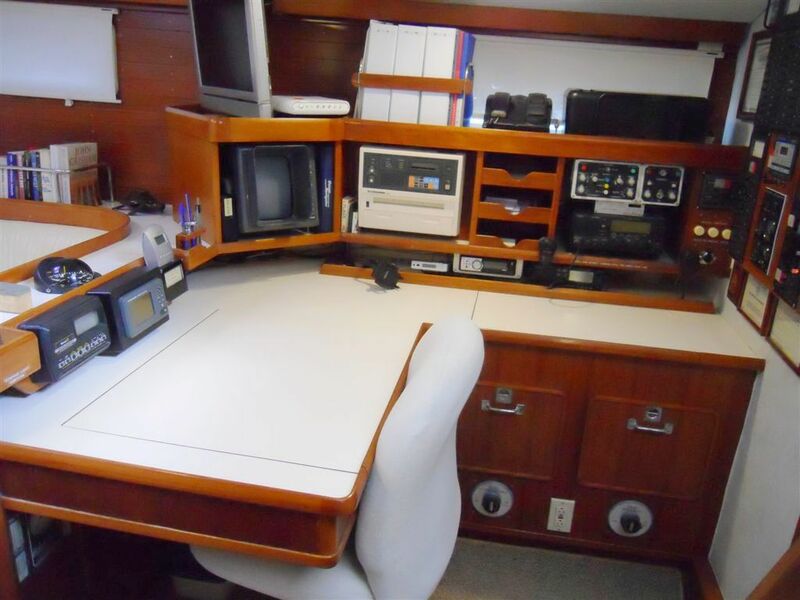 Aft of the mast are a main salon with dinette and the nav station/office. 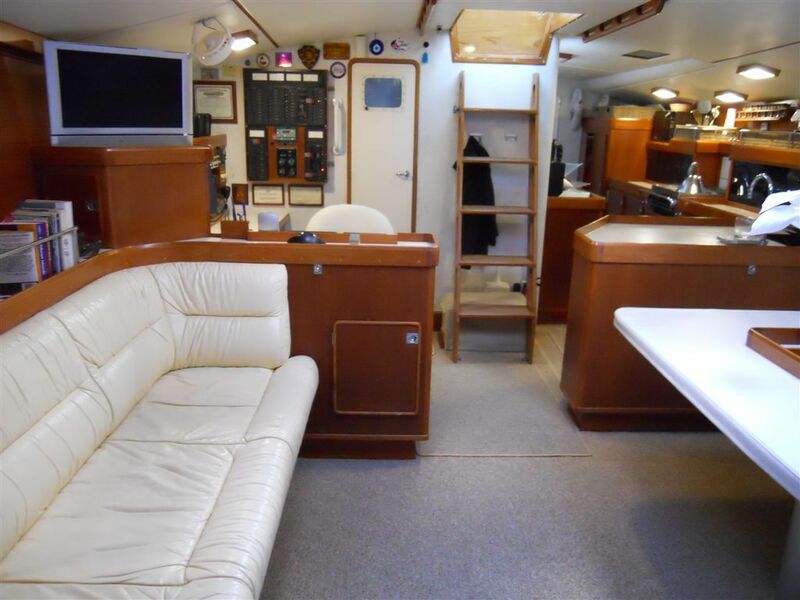 Amidships to starboard is a stand-up engine room/workshop enclosing a Yanmar 140 hp intercooled turbodiesel engine, 8 kw Northern lights genset, 600 gallon/day watermaker, two aircon units, fridge compressor, pressure water pumps, and a 15 gallon water heater. 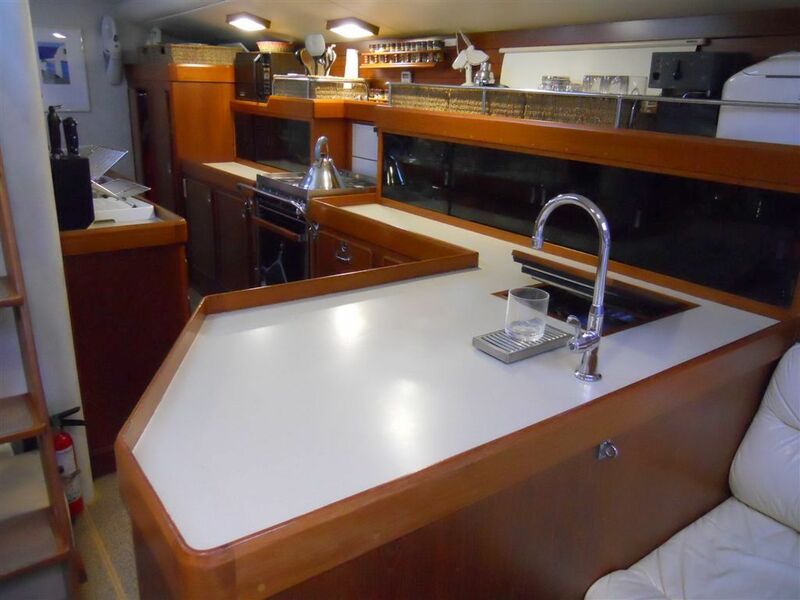 To port is a long galley with seperate fridge and freezer boxes, stove/oven, microwave oven, double sink, pantry, washer and dryer. 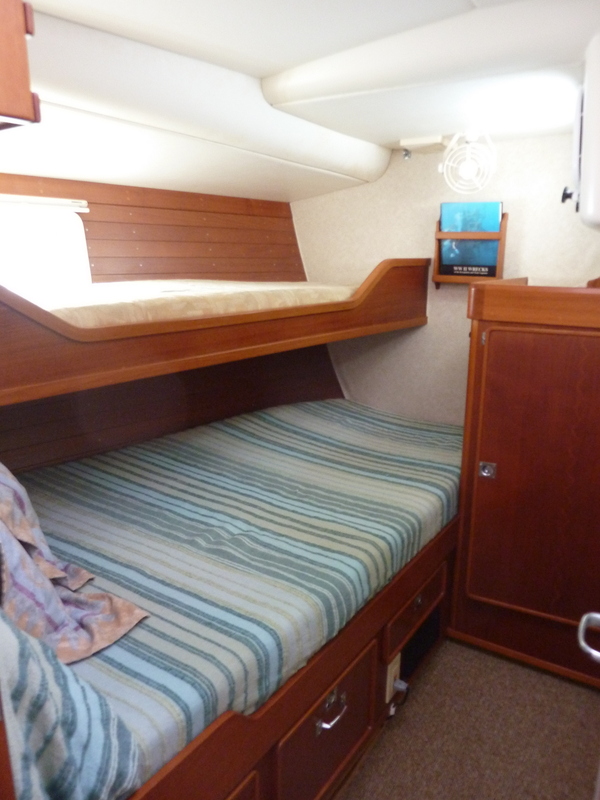 Aft of the galley are two guest staterooms with double lower and single upper berths and a shared guest head. 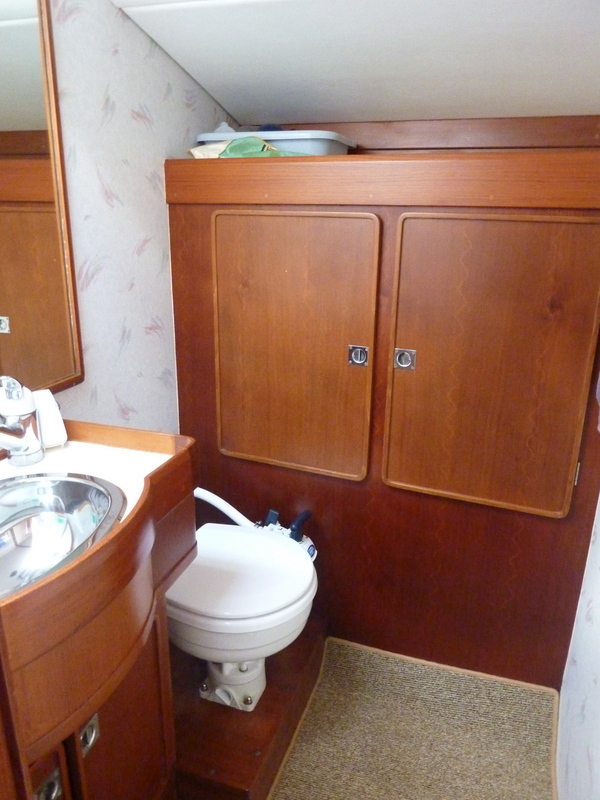 A watertight forepeak encompasses the first 12 feet of the boat and a watertight lazarette the last 7 feet. Tthe rudder stock and autopilot motors/ram are enclosed in the lazarette. 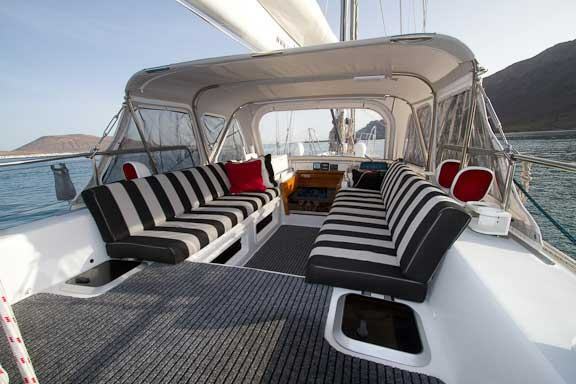 Moonshadow is a dual cockpit model with a steering/sailing cockpit aft containing the helm, engine controls, main, genoa and staysail sheet winches. The forward cockpit seats eight to ten persons under the cover of a soft dodger which can be fully enclosed. We can stand watch in the forward cockpit with an autopilot remote, second engine panel, GPS, VHS and in view of the chart plotter and radar positioned in the nav station below. 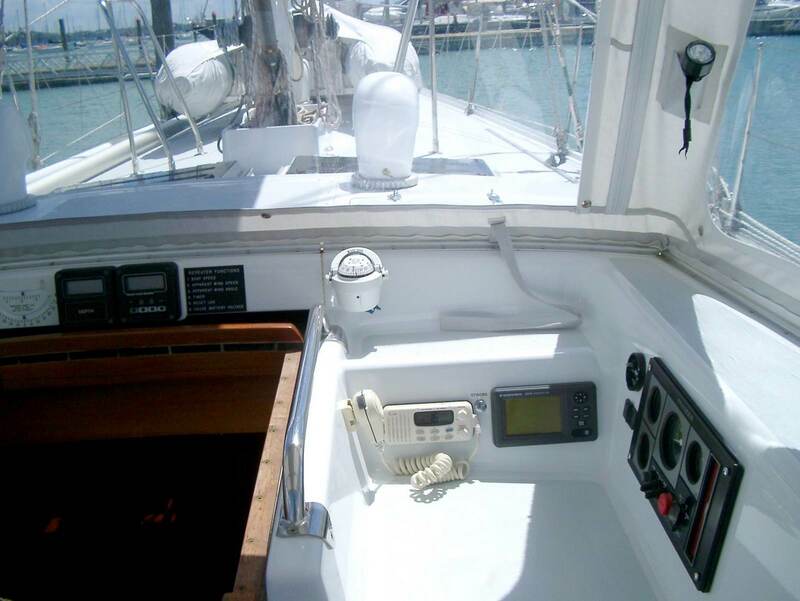 Sail handling consists of roller furling genoa and staysail wth sheets and furling lines led the the aft cockpit, and a fully battened main with lazy jacks and a boom cradle. 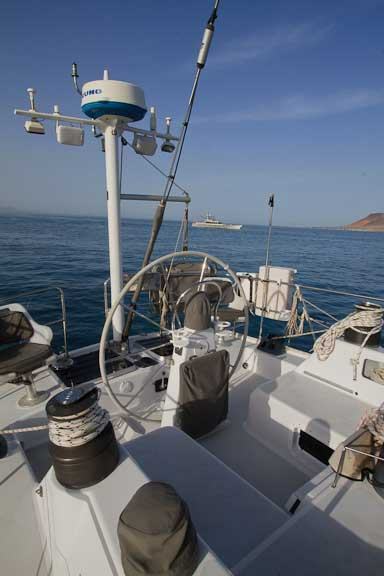 Electric primary winches ease workload on headsail and spinnaker trim. She is easily handled by two persons and George has single handed her for approximately 5000 miles. 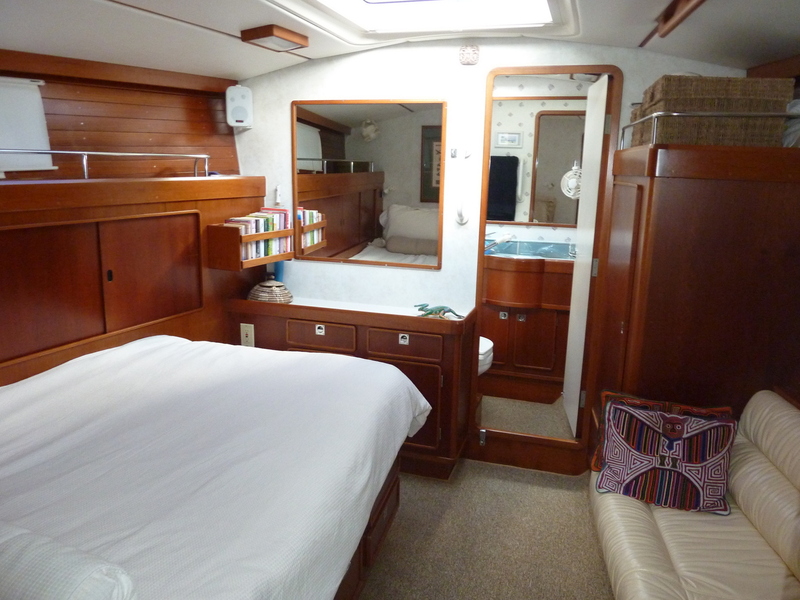 George purchased Moonshadow in Fort Lauderdale, Florida in 1994 and has since logged more than 70,000 ocean miles and visited 33 countries with her during a 16-1/2 year west-about circumnavigation. 2x AM/FM Compact Disc stereo system with salon subwoofer and 12 speakers, including 4 water proof outside speakers. Main mast with Antal batten car system and trysail track. Maxwell V3500 reversible anchor windlass with remote control forward and automatic remote/chain counter in aft cockpit.